In Harbin, the capital of China’ Province of Heilongjiang, the faithful celebrated the patronal feast of the church of the Protecting Veil of the Theotokos, built in 1930. 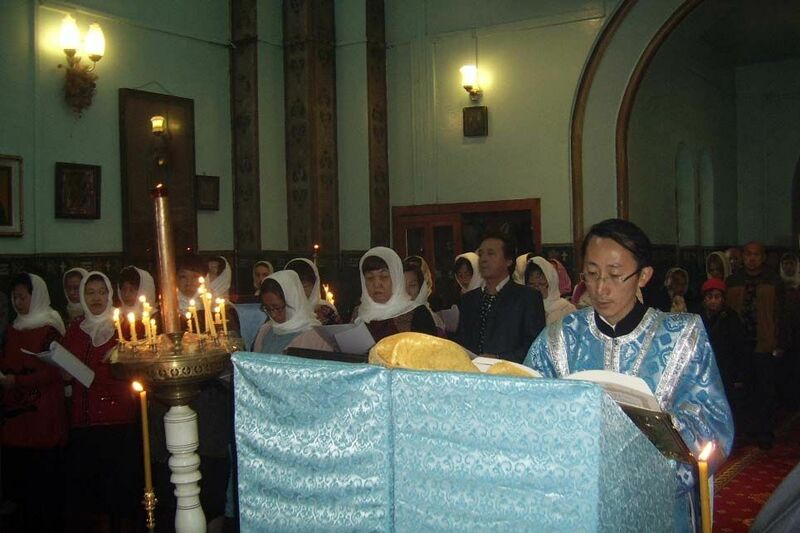 This year, the celebrations coincided with the 30th anniversary of the resumption of divine services in this church: the first liturgy to be celebrated after its closure during the “Cultural Revolution” was conducted by Father Gregory Zhu Shipu, who served in this church till his death in 2000. On October 12, 2014, as was agreed with the state authorities, the Divine Liturgy was celebrated by the dean of the Vladivostok first district, Rev. Dmitry Fedorin. Over 50 Orthodox expatriates and members of the local Orthodox community attended. Over 30 worshippers took communion. 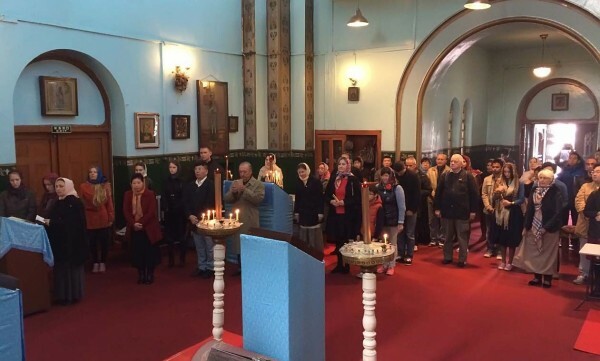 Father Dimitry congratulated the congregation and expressed gratitude to the Harbin and Heilongjiang authorities for the opportunity for the Orthodox faithful in Harbin to celebrate their patronal feast in worship. With the blessing of His Holiness Patriarch Kirill of Moscow and All Russia, the Metropolis of Vladivostok presented the Orthodox community in Harbin with church banners. On October 13, Father Dimitry and members of the Russian Orthodox community visited hospitals in Harbin which treat children from Russia and CIS countries. The parents of these children asked Patriarch Kirill to provide pastoral care for their children during his visit to Harbin in May 2013. The problem was also raised during official meetings between the Primate of the Russian Orthodox Church and the authorities in Harbin and Heilongjiang. At the Orthodox part of the Huangshan city cemetery, Father Dimitry said a prayer at the grave of the last rector of the church of the Protecting Veil, Father Gregory Zhu Shipu. Prayers were also lifted up at the graves of Russian and Chinese Orthodox Christians buried there. On October 14, the Day of the Protecting Veil of the Theotokos, a thanksgiving to the Mother of God was celebrated in the church by Deacon Alexander Uy Shi, a student of St. Petersburg Theological Seminary.